You will sleep well at our hotel! The hotel disposes of 65 rooms with 138 beds with extra beds. The hotel offers 4 suites and 3 maisonette suites, loved especially by children. Rooms are equipped with a bathtub or shower enclosure. All rooms offer a barrier-free access with a lift! You can enjoy a free wifi internet access everywhere. A part of the equipment is a hairdryer, a safe, a mini-bar and cable television, župany, uteráky, papuče bathrobes, towels, slippers. On the room you will find everything you need for your comfort. Hotel Victoria represents a healthy and quality sleep, for which you do not have to travel long distances. 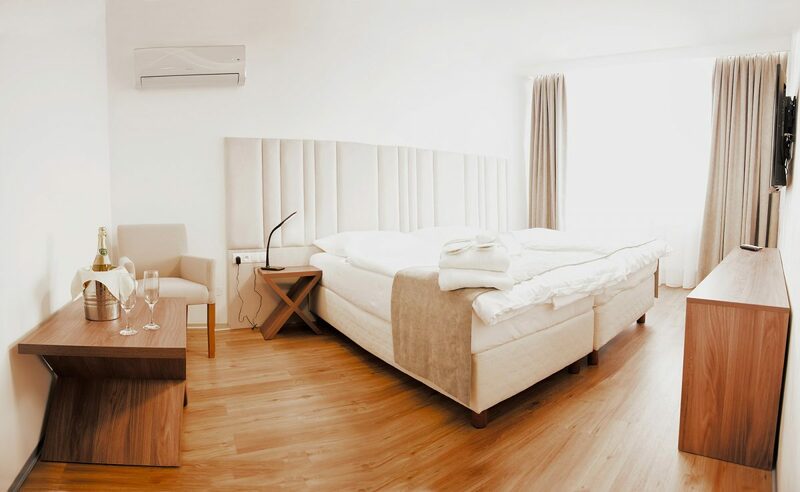 Fresh, clean air and pleasant surroundings of a quiet locality of Stráne at the foot of Martinské hole are the basis for your peaceful and undisturbed sleep. The hotel offers rooms ‘Standard’ with optional extra beds. Rooms are also equipped with hairdryers, minibars, cable TV and a room safe lock. Barrier-free access by lift to all rooms! You can connect to WiFi from any place in the hotel for free. The news is a new category of Standard Plus rooms that provide comfortable accommodation with a balcony with spectacular panoramic view of the Great mountains. In addition to the conventional standard equipment includes air conditioning and large-screen TV with a wide range of high quality satellite programs. Another room type we offer is a ‘Family’ room which sleeps 4 persons. It is a loft apartment with two floors, roof windows and air conditioning. Equipped with minibar, hairdryer, room safe lock and cable TV. 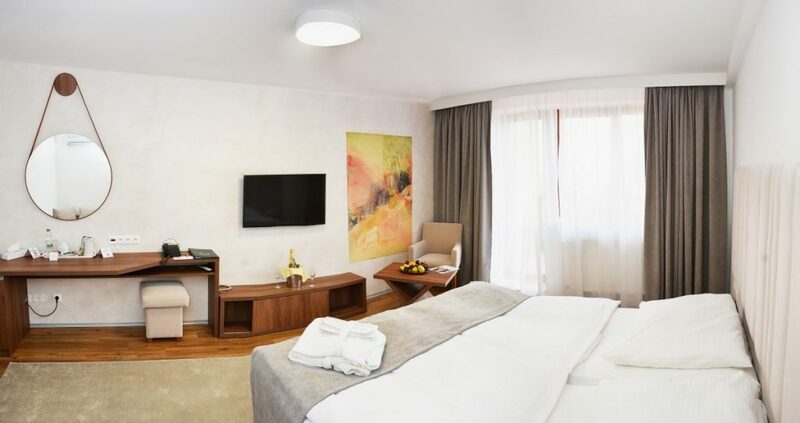 There is also a new apartment Superior, who, with a floor area of up to 70 m2, including two balconies, luxurious amenities with air conditioning and two large screens, and meets the most demanding criteria for the convenience and comfort of hotel guests. Another new type of rooms is ‘Apartmant JS’ with square footage of 50 m2. Apartment is furnished in a high standard with a living room and bedroom. The bathroom is equipped with a shower stall, balcony, air conditioning and wide screen TV with a great selection of channels. The price does not include the local charge 0,50.- EUR for one person and day. The accommodation price includes 10 EUR breakfast with hotel homemade products, parking, wifi,wellness (swimming pool, saunas, whirlpool) except of massages. Prices are for room per 1 night. The price of the extra bed is per person per night. In case, you would like to stay in the room longer, please inform us about the late checkout on the reception.